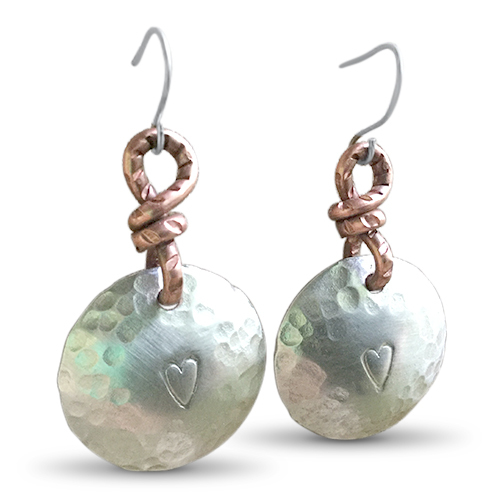 Hand hammered sterling silver with etched heart, copper swivel toppers and stainless steele ear wires. This designer pair will make a great Christmas present for that special someone in your life. Lightweight and approximately 2 inches long.